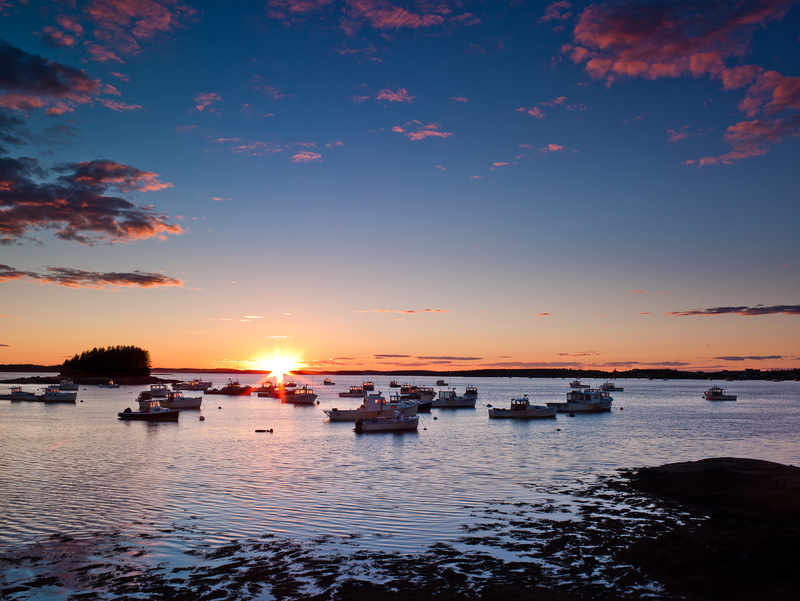 Lobster boats soak up the last rays of sun as it sets off to the west. This safe harbor offers protection from the storms. Typically, boats are on their way out by 4am while the rest of the world hasn't begun to stir. We thank you! Photo © copyright by Lance B. Carter.